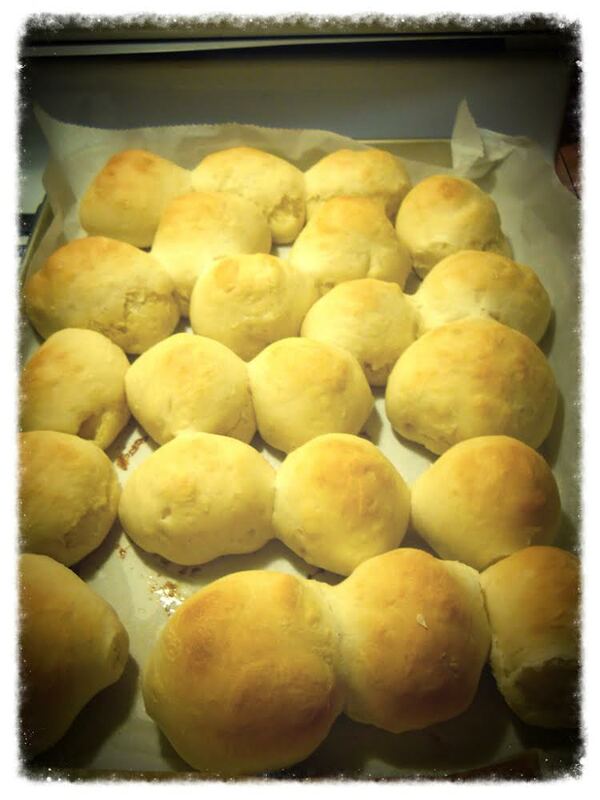 Flaky Dinner Rolls Plus MVK’s Tips for T Day! I thought I would pop in a day early this week with one last recipe and tips for those readers who are cooking for Thursday’s holiday! I can’t believe I’m looking at yet another turkey and talking about the biggest cooking day (for some) of the year! I finally settled on my menu over the weekend and now it’s full steam ahead until Thursday afternoon! Thanksgiving is always my cooking and hosting holiday and I love it. There is no pressure of getting the Christmas tree up, making sure all the presents are bought, it’s just me, some paper, and an infinite amount of recipes that can be made. I tend to go the traditional route, but with a couple of tweaks here and there every year. For the past few years I’ve made Astor House rolls for the meal, which are wonderful, but this year I decided to pull out this ten-year-old recipe that is foolproof plus delicious. If you have any left over, they’re great to stick in the freezer and pull one out for your lunchtime soup. Or, what I envision to be my case, make another batch next weekend! I’ll admit, these are a bit on the fussy side; rolling out, putting in the freezer a couple of times, and one last final rise. But if you’re in the kitchen, you’re already working, so it’s just a matter of setting the timer. And these are more than worth the effort. I didn’t bother using the cookie sheet, but I did pull out the measuring tape to make sure I was near the right size. These are sort of like a croissant, where you work butter into the dough layers. 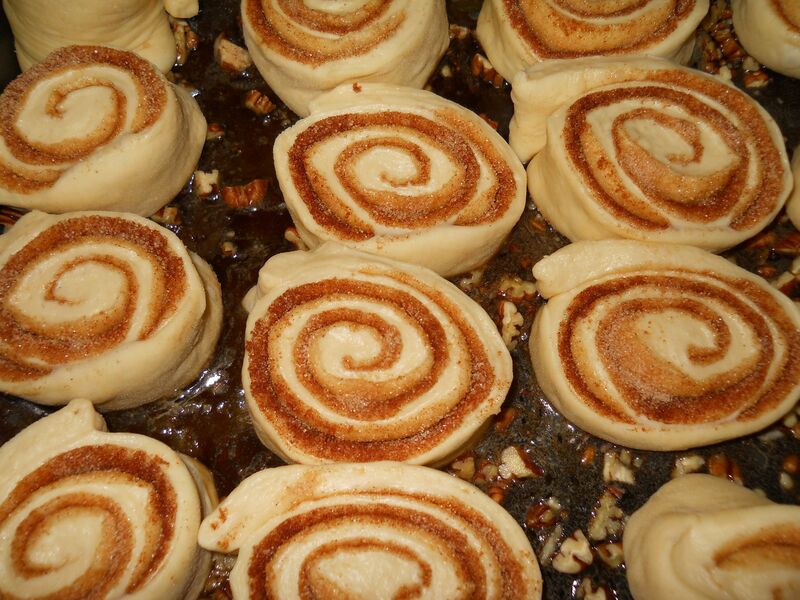 And they may be the best thing in the world right out of the oven. I had to test one to make sure they were suitable for guests (wink), but I really wanted to eat the whole pan, they’re that good! Whether you are cooking or are the guest, here’s to a wonderful holiday on Thursday! I will raise my glass to my ever faithful and supportive readers for a happy holiday and for a meal (wherever in the world you live!) filled with delicious food! Happy cooking! And happy eating! This recipe first appeared in the November 2005 issue of Cooking Light magazine. 1. Dissolve sugar and yeast in warm milk in a large bowl; let stand 5 minutes. Lightly spoon flour into dry measuring cups; level with a knife. Add 2 3/4 cups flour and salt to yeast mixture; stir until a dough forms. Turn dough out onto a lightly floured surface. Knead until smooth (about 5 minutes); add enough of remaining flour, 1 tablespoon at a time, to prevent dough from sticking to hands (dough will feel slightly sticky). Cover dough with plastic wrap, and let rest for 10 minutes. 2. Roll dough into a 12 x 10-inch rectangle on a lightly floured baking sheet. Gently spread butter over dough. Working with a long side, fold up bottom third of dough. Fold top third of dough over the first fold to form a 12 x 3-inch rectangle. Cover with plastic wrap; place in freezer for 10 minutes. 3. Remove dough from freezer; remove plastic wrap. Roll dough, still on baking sheet (sprinkle on a little more flour, if needed), into a 12 x 10-inch rectangle. Working with a long side, fold up bottom third of dough. Fold top third of dough over the first fold to form a 12 x 3-inch rectangle. Cover with plastic wrap; place in freezer for 10 minutes. 4. Remove dough from freezer; remove plastic wrap. Roll dough, still on baking sheet, into a 12 x 8-inch rectangle. Beginning with a long side, roll up dough jelly-roll fashion; pinch seam to seal (do not seal ends of roll). Cut roll into 12 equal slices. Place slices, cut sides up, in muffin cups coated with cooking spray. Lightly coat tops of dough slices with cooking spray. Cover and let rise in a warm place (85°), free from drafts, 45 minutes or until doubled in size. 6. Bake dough at 375° for 20 minutes or until golden brown. Remove from pan, and cool for 5 minutes on a wire rack. Serve rolls warm. MVK’s Tips for T Day! As has been my past custom, I’m going to give you some of my tips for making your holiday cooking relatively stress-free and fun. Some of these tips may seem elementary, although to me they make the actual battle of getting everything ready all at once a little easier. Some of these tips are mine and some are other cook’s tips I’ve collected through the years that work for me. Whether you’re cooking Thanksgiving for ten or having a dinner party at another time of the year, I find these tips helpful to have in your back pocket. The most important piece of paper in the kitchen for me is my timeline. I take my menu, figure out what time we are going to eat, and work backwards from there. So I have everything down to the time, “10 a.m., turkey in the oven; at 12:45 see if it’s almost done and start the potatoes” etc. This allows me to move quickly around the kitchen and for everything to (hopefully) be done pretty much at the same time (some day this will happen!). This method also is good for any meal you’re cooking while entertaining, as I have a habit of forgetting things once the door opens and the guests arrive! Since almost all of us have one oven, prime real estate in the kitchen is small. At the suggestion of “America’s Test Kitchen,” I pull out my crock pot for an additional burner! Set to low and you can warm squash or potatoes and free up an extra burner. If possible, prepare some items the day before or even two or three days before. Squash can be made today or Wednesday, make and bake your pies late Wednesday evening or Thursday morning, that way you’re not trying to jockey for space in the oven with your turkey. Make sure your knives are sharp! I made this tip the year after it was discovered my knives were dull when my father was carving the turkey. (He has since given me a hand-held knife sharpener.) If you don’t have one, find a kitchen shop that does sharpening and take them in if you have time. This will make carving the turkey all that much easier–and everything else for months to come! On Wednesday evening, take out all your serving bowls and utensils and assign dishes to each one. This saves a lot on the “what bowl is the stuffing going into?” when you start serving and avoids a Thursday morning surprise when you’re laying out the table. I put the assignments on scraps of paper and place them inside each bowl or plate, which I find helps my memory immensely the next day. Make sure all china, glasses, and linens are cleaned, ironed, and ready to go so all you have to do Thursday morning is set the table. Instead of putting all the dishes on the table, finding room among the arms and elbows, I set up the kitchen table as a buffet, so people can fill their plates and return to an uncluttered table. While it doesn’t paint the Norman Rockwell Thanksgiving feast, I find this to be a much nicer way to eat so you aren’t surrounded by people plus having to pass dishes! I first brought you this recipe two years ago around this time and since then they have become an early winter staple in our house. If you aren’t afraid of yeast and want to make rolls for your Thanksgiving meal, these are the ones to make! Warmed with some good butter, they are to die for. I like all rolls, but those made with milk add a bit of richness to them. Light and airy, I have made these several times and have never had any problems with them—a foolproof recipe! You can make them this weekend and pop them in the freezer; take them out Thursday morning and they will be thawed by dinner time! 1. Dissolve the yeast in the lukewarm water and let stand until foamy. Put 5 cups of flour in a large bowl (you can use a mixer with a dough hook if you want) and make a well in the center. Add the yeast mixture, salt, sugar, softened butter, and milk and stir, slowly incorporating the flour from the sides. Then stir and beat the mixture until a ball of dough has formed. Pour the dough and any remaining flour onto a work surface and gradually knead in the remaining 1 cup flour. 2. Put the dough in a clean bowl, cover, and let rise until light and fluffy and almost doubled. 3. Punch down the dough and knead until it is smooth and elastic, about 10 minutes–you should need very little, if any, extra flour for this step. Return to the bowl, cover, and let rise until doubled in size. 4. Punch down the dough and divide into 22 pieces. Shape each piece into a tight round (see ** at end), keep the other pieces covered with plastic wrap while you work. Beginning with the first round, flatten each roll, seam side up, to 1/2-inch thick. Place 1 teaspoon butter in the center, lift one edge of the dough, and pull it up and over the butter, forming a turnover-shaped roll, and pinch the ends firmly closed to seal in the butter. Arranged rolls 3 inches apart on nonstick baking sheets (or baking sheets covered with parchment). Cover loosely with plastic wrap and let rise until almost doubled, about 1 hour. 5. Heat the oven to 425 degrees. 6. Bake until the rolls are puffed, golden, and cooked through, about 16 minutes. Cool on baking racks. Originally published in the New York Times, October 27, 1878: “Useful Hints for Housekeepers.” Recipe signed Lillie. MVK’s Endorsement of the Week: Thanksgiving all in one place! I know I extol the ingenuity of The New York Times probably a little too much, but when it comes to holidays, it is one of my first stops! So if your Thanksgiving meal isn’t completely planned, take a look at their website, where you can find everything from the turkey to the desserts and everything in between. Tips on how to roast a turkey, make a pie crust, how to make gravy, plus tips for a vegetarian meal. You name it, they have you covered! I’m not completely set on my menu, so I know I’m going to spend a lot of time here this week! You can find this great resource here. 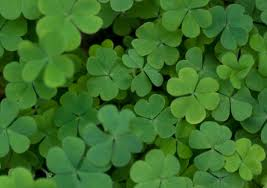 Luck O’The Irish For St. Patrick’s Day! Congratulations to Linda J., the winner of the Global Kitchen cookbook giveaway! 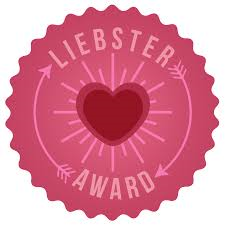 Thank you to all who participated! While I don’t have a speck of Irish blood in me, I always like making a recipe or two for the holiday. First off, it’s a big mark that spring is coming (although they are predicting 12-20 inches of snow for today! Yikes!) and the food is always delicious and hearty. Who can say no to some corned beef, cabbage, a slice of bread, and a Guinness? 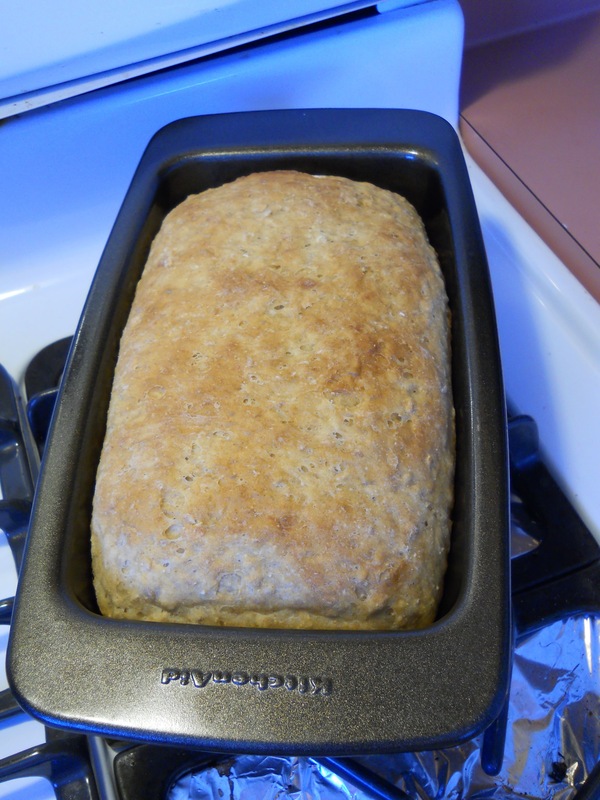 This recipe for Irish Oatmeal Bread is really delicious. You get two big loaves of dense, chewy homemade bread. It makes a great peanut butter sandwich if you are going on a hike or a nice addition to soup for lunch. It also makes great toast! A standing mixer is suggested since the dough is so dense, but I don’t have one so it’s a lot of elbow grease on my part. I mixed it with my favorite wooden spoon that I’ve had for close to 25 years, but twice in the last week when I was mixing dough, I heard a small crack. So be sure your spoon is a sturdy one! In terms of changes, I made a couple. I only had dark brown sugar on hand, so I decided to substitute maple syrup. Also, one of my bread pans seems to have disappeared, so I made a nice, round boulé for my second loaf. Just to note, this is time consuming; it took me the better part of four hours from start to finish. So plan to make it on a morning or evening when you don’t have to go anywhere–or during a snowstorm! This recipe first appeared in the January 2004 issue of Cooking Light magazine. This recipe yields a dense dough, so use a stand mixer for mixing. Make sure the oatmeal mixture is cool before combining with the yeast mixture. If you have oatmeal at breakfast and make a sandwich with this bread for lunch, you can meet the recommended 1 1/2 cups oatmeal per day. Combine the first 5 ingredients in the bowl of a stand-up mixer, and let stand 25 minutes. Dissolve granulated sugar and yeast in warm water; let stand 5 minutes or until foamy. Add to oat mixture. Lightly spoon flours into dry measuring cups; level with a knife. Gradually add 2 3/4 cups all-purpose flour and 3 cups whole wheat flour to oat mixture. Beat at medium speed until well blended. Turn dough out onto a floured surface. Knead until smooth and elastic (about 8 minutes); add enough of the remaining all-purpose flour, 1 tablespoon at a time, to prevent dough from sticking to hands (dough will feel sticky). Place dough in a large bowl coated with cooking spray, turning to coat top. Cover and let rise in a warm place (85°), free from drafts, 1 hour or until doubled in size. (Gently press two fingers into dough. If indentation remains, dough has risen enough.) Punch dough down; cover and let rest 5 minutes. Divide in half. Working with one portion at a time (cover remaining dough to prevent drying), roll each portion into a 14 x 8-inch rectangle on a floured surface. Roll up each rectangle tightly, starting with a short edge, pressing firmly to eliminate air pockets; pinch seam and ends to seal. Place each loaf, seam sides down, in a 9-inch loaf pan coated with cooking spray. Cover and let rise 30 minutes or until doubled in size. Uncover dough, and brush egg evenly over loaves. Bake at 350º for 45 minutes or until loaves are browned on bottom and sound hollow when tapped. Remove from pan, and cool on wire racks. With all due respect to lyricist Edward Kleban, the food that has been on my mind for weeks have been tomato sandwiches. Since giving up my garden to Flopsy, Mopsy, Cottontail, and Peter Rabbit (and their extended cousins) a few years ago, I’ve relied heavily on the farmer’s market and my co-op for local veggies in the summertime. And when my calendar turns to August, that means tomato time. 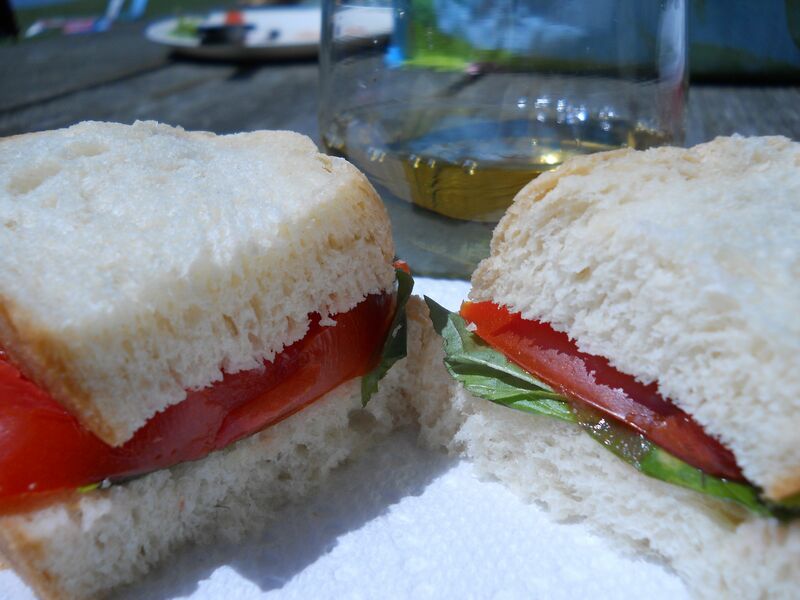 Forget my favorite rye or the more healthy whole wheat, I want my tomato sandwich to be on soft white bread, so soft, the tomatoes soak through with its juices. And my sandwich is simple, just tomatoes and basil and if I don’t have basil, just bread and tomatoes will do. Before taking my usual Sunday walk, I put the dough in the oven to rise; since it was a lazy morning, I put it in for a second rise, but that probably isn’t necessary. This made a small loaf, a very small loaf, but it was delicious. 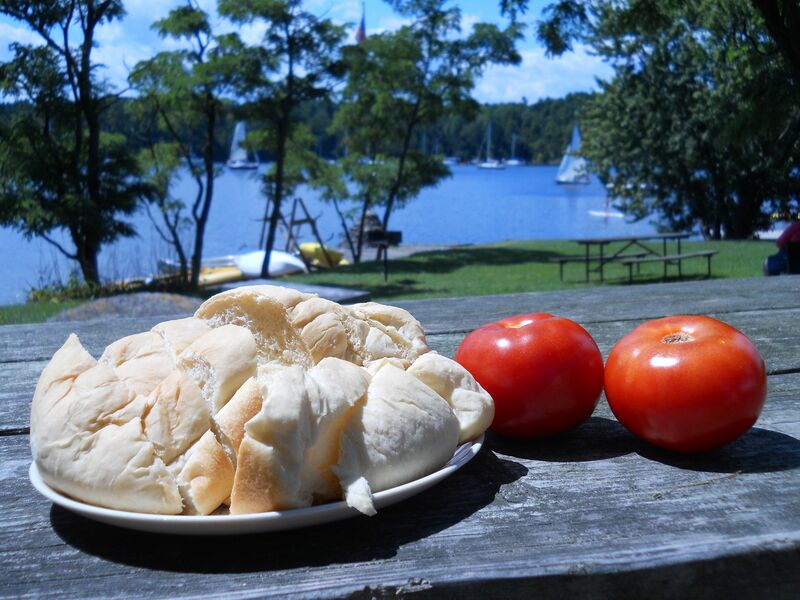 No leftovers, as I made tomato sandwiches for friends on a lovely afternoon at the lake. Helpful Kitchen Tip: If you are working with any sort of dough, be it bread, pie, pizza, cookie, basically anything with flour, when you’re done with bowl, soak it in cold water as opposed to hot or warm. Despite what you’d think, cold water gets it cleaner more quickly than hot water. I read this in a magazine years ago and it works! My homemade bread sometimes doesn’t rise like it should as you can see from the photo. It was a bit on the “small” size height-wise, but frankly, I didn’t care; I got my tomato sandwich on homemade white bread and I was a happy eater! Many, many years ago (the envelope the recipe is written on is from 1991! 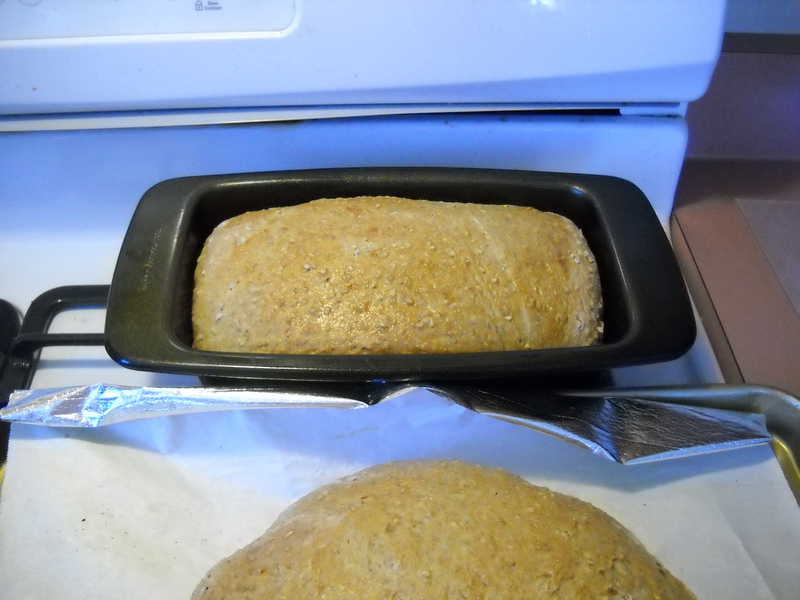 ), I took down the basic recipe for white, rye, and whole wheat breads from my mom. I grew up with only homemade bread, but was one of those kids who longed for store-bought bread and cookies. Can you imagine?! The recipes I copied were for four loaves each and this is my version for one loaf. 1. In a mixing bowl, add the water, sugar, and sprinkle the yeast on top. Stir, and let it sit until it turns foamy, about five minutes. 2. Add the salt, oil or butter, and sweetener. Stir, and add 1 cup of flour. Stir, and add a little bit of water to make a dough. Keep adding flour and water until the dough becomes shaggy so you can start kneading it. Knead it until it makes a nice, soft dough. 4. 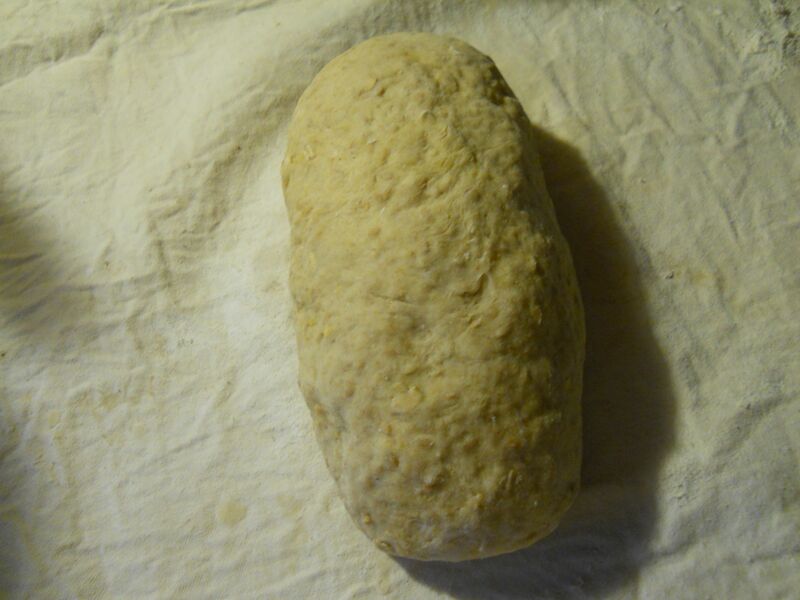 Upon the final rising, punch down the dough, knead, and form into a loaf. Place in an oiled bread pan, and let it rise one last time, about an hour. Preheat the oven to 325 degrees and bake for 30 minutes or until the top is hollow when you tap it. This soup is one of my favorites, and I wrote about it a couple of summers ago, Creamy Tomato Soup with Grownup Cheese Points. This is a perfect soup to make if you have a few too many tomatoes in the garden! 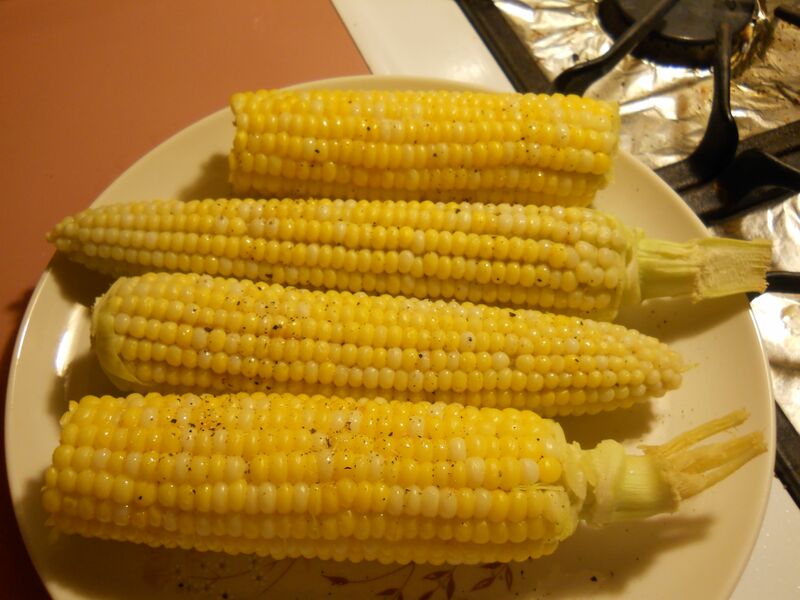 I love corn on the cob and the usual butter, salt, and pepper is a delicious and simply way to dress it. But here is something different to try next time you have have a desire for something new. For four ears of corn, melt 1 tablespoon of butter in a saucepan, and add the juice from one-quarter of a lime and a tiny dash or two of cumin. Mix, and pour over the corn evenly, and top with freshly ground pepper and a little bit of salt. This gives the corn a spicy, zippy flavor! Grandma was a longtime schoolteacher, if you couldn’t guess by her perfect handwriting! I frequently get requests to make this flavorful yummy bread this time of year and I think is perfect for leftover turkey sandwiches! And it makes the best toast, too! This recipe has gone through five hands. My grandmother received it from her friend Marian F., according to her recipe card above; who passed it on to my mom, who tweaked it a little; and who then passed it on to me. I was curious to the recipe’s origins and decided to see if I could find it online and I did! 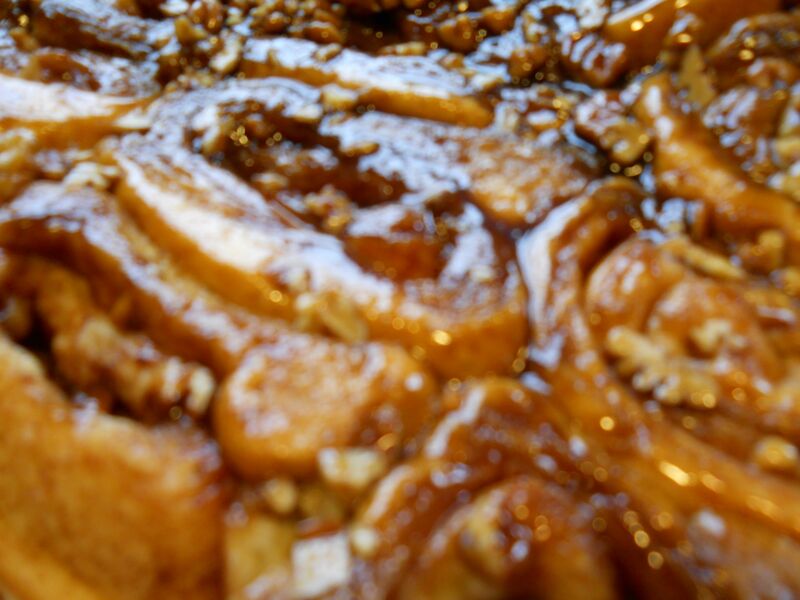 It won the Pillsbury Bake-Off® contest in 1960! So 50-plus years later, it’s still being made! While it’s been tweaked only slightly through the years, the recipe I’m giving you is the original from my grandma, typed as written. This recipe makes one loaf but can easily be doubled to make two. Soften 1 package (2 ¼ teaspoon) of dry yeast in ¼ cup of warm water. Add 2 ¼-2 ½ cups flour to form a stiff dough, beating well. Cover and let rise until light and doubled. Punch down, turn into a regular or 2 mini loaf pans and bake at 350 degrees for 40-50 minutes or until golden brown. • I usually don’t cream the cottage cheese nor do I warm it; I doesn’t seem to make a difference. If you do choose to do this, don’t worry about the double boiler, a small saucepan on low and a watchful eye works just fine. • French’s was probably the only company that sold dried minced onion at the time; I get it in bulk from the coop. • I didn’t realize it until I typed the recipe but this doesn’t call for a second rise in the pan. I always do that, more out of habit than anything; I think it also makes a lighter, fluffier bread. If you have the time, try it, it won’t do any damage! • The original recipe calls for topping with melted butter and salt, which I never do, but sounds delightful! In a revisit of last week’s post about pizza crust, mention was made by Carol, a faithful reader from Connecticut, about “pizza yeast.” I had heard about this, but never really knew what it was and said I’d return with some info. This is what I’ve discovered. Pizza yeast is, in my description, one step beyond rapid rise. You can throw it in a bowl with some flour and salt, roll it out and make your pizza, no need for a rise. It’s also has “dough relaxers” so it doesn’t “snap back” when shaping it. An interesting concept, but I have made my pizza dough with regular yeast and no rising, and bread on occasion with only one rising (see below). So if you’re in the mood to make your own pizza crust but are worried you don’t have pizza yeast, fret no longer, you can use regular. And if you do have it on hand, it will make for a delicious pie! So speaking of yeast . . . About eight years ago, there was a PBS cooking show I used to watch called “Breaking Bread with Father Dominic,” a monk who lived I think in Minnesota. Father Dominic is a cool monk, he’d always make his bread in his robe while wearing Chuck Taylor sneakers on his feet. Every week was a different yeast recipe (Fleischmann’s sponsored the show, of course) and when he made something that looked really good, I’d print out the recipe. In doing research for this piece, I discovered he has several bread cookbooks published! This recipe for Multi-Grain Bread is superb and has only one rising. In the dark, cold winter, I like to make a loaf of this every weekend. It’s easy, as yeast breads go, relatively inexpensive, and you know you’re making something good and delicious for yourself and your family. It makes great sandwiches and toast and also freezes well. Be sure to have a softened stick of butter waiting when this comes out of the oven. I don’t know if there is anything better than a fresh piece of homemade bread fresh out of the oven, do you? • I’ve typed this as it is written, but I’ve adapted it through the years, so you’ll see my notes in italics. • If you’re concerned about the small portions of some of the ingredients, I encourage a visit to your local coop and buy things in bulk. That way you can buy as much or as little as you like. Just remember, you’ll probably want to make this again, so it’s great to have them on hand! In a large bowl, combine 1 cup bread flour, whole wheat flour, rye flour, rolled oats, cornmeal, undissolved yeast, and salt. Heat water, honey, and oil until very warm (120 to 130 degrees). Gradually add to dry ingredients. Beat two minutes at medium speed of electric mixer, scraping bowl occasionally. (I use a wooden spoon.) Add egg, flaxseed, and ½ cup flour; beat 2 minutes at high speed. (Again, I use a spoon.) Stir in enough remaining flour to make a soft dough. Knead on lightly floured surface until smooth and elastic, about 8 to 10 minutes. Cover; let rest 10 minutes. Bake at 375 degrees for 35 to 40 minutes or until done. Remove from loaf pan; cool on wire rack. Slather a piece with butter and eat! Although I frequently make my own bread and make pies in the summer, I’ve never thought of myself as a baker. Too precise, down to a science; in order to have something come out right, you can’t have the “improvisational flair” I tend to have when I’m creating a dish. 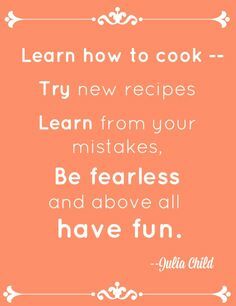 You have to follow the recipe exactly and I always tend to veer off in another direction when I’m told what to do. But when I actually DO follow a recipe, sometimes the most wonderful things can happen; the air in your kitchen will be filled with cinnamon and sugar and you will have small pillow of deliciousness to sink your teeth into. These sweet rolls, which came from the September 2008 issue of Cooking Light, is one of those recipes. I make it only on special occasions and no one will know it’s “low fat,” which I do use loosely; one roll has 275 calories and 7.6 grams of fat, yet it’s considerably less than one you’d pick up in a bakery. And you can be pleased you made it with your own two hands. This receives nothing but raves when I bring it along to family gatherings. I will preface the recipe with the facts I used five bowls and a saucepan and I was up at 5 a.m. for these to be finished cooking by 9 a.m. And I found myself humming Christmas carols because cinnamon always reminds me of the holidays. But it’s well worth the extra effort in the end. And if you hum Christmas carols when you’re doing the dishes, it seems to make the job go quicker! 1. To prepare dough, combine the first 3 ingredients in a large bowl. 2. Dissolve yeast in 1/4 cup warm water in a small bowl; let stand 5 minutes. Stir yeast mixture into milk mixture. Add egg substitute and 3 tablespoons melted butter; stir until well combined. 3. Weigh or lightly spoon flour into dry measuring cups; level with a knife. Add 16.8 ounces (about 3 3/4 cups) flour to yeast mixture; stir until smooth. Turn dough out onto a lightly floured surface. Knead until smooth and elastic (about 8 minutes); add enough of remaining flour, 1 tablespoon at a time, to prevent dough from sticking to hands (dough will feel slightly soft and tacky). 4. Place dough in a large bowl coated with cooking spray; turn to coat top. Cover and let rise in a warm place (85°), free from drafts, 45 minutes. Punch dough down and turn over in bowl; lightly coat with cooking spray. Cover and let rise another 45 minutes. Punch dough down; cover and let rest 5 minutes. 5. To prepare sauce, combine brown sugar, 3 tablespoons butter, and 2 tablespoons hot water in a small bowl; stir with a whisk until smooth. Scrape sugar mixture into a 13 x 9–inch baking pan coated with cooking spray, spreading evenly over bottom of pan with a spatula. Sprinkle sugar mixture evenly with pecans, and set aside. 6. To prepare filling, combine 2/3 cup granulated sugar and cinnamon in a small bowl. Turn dough out onto a lightly floured surface; pat dough into a 16 x 12–inch rectangle. Brush surface of dough with 1 1/2 tablespoons melted butter. Sprinkle sugar mixture evenly over dough, leaving a 1/2-inch border. Beginning with a long side, roll up dough jelly-roll fashion; pinch seam to seal (do not seal ends of roll). Cut roll into 15 slices (approximately 1 inch wide). Arrange slices, cut sides up, in prepared pan. Lightly coat rolls with cooking spray; cover and let rise in a warm place (85°), free from drafts, 30 minutes or until doubled in size.